There’s no sweeter time than summer to escape to the poi-fect Maui destination,Honua Kai Resort & Spa! Invite your readers to give their summer a suite Hawaiian punch, with the resort’s new Suite Summer Escape Package.Including huge savings on the resort’s spacious suites, daily breakfast at Duke’s Beach House, a rental car for island exploration and more, the package makes planning a family vacation to Maui a breeze! Honua Kai Resort & Spa’s idyllic beachfront location gives travelers easy access to the best island activities. Enter a state of indentured surfitude with family surf lessons, explore the island’s natural wonders during an afternoon of snorkeling or zip-lining, or simply bask in the sun on beautiful-Kaanapali Beach. Are you working on any summer travel stories where this Suite Summer Escape Package would be a fit? I have outlined full package details below and look forward to hearing from you. Rates start at $453.00 per night for a one-bedroom suite. To book this package, call 855-674-1522. Visit HonuaKai.com for more information. Honua Kai offers a uniquely contemporary Maui experience. Nestled on 38 oceanfront acres of Kaanapali’s pristine North Beach, the resort is designed as two U-shaped buildings with ocean and mountain views, lush landscaping and expansive open spaces. 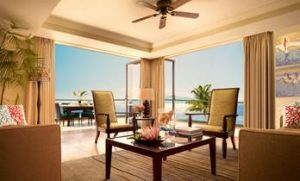 This openness is mirrored in each of the 628 guest suites (one-, two-, and three-bedroom) with the largest lanais on Maui, professionally equipped kitchens, spacious and homelike floor plans, and luxury resort services. An imaginative aqua network of pools, hot tubs, natural pond bridges, waterslide, waterfalls and fountains allows for privacy and play. Dining options include Duke’s Beach House and ‘Aina Gourmet Market. Find out more at http://www.honuakai.com/. Join us for the Second Annual Hermann Park Kite Festival on Sunday, March 29, 2015. 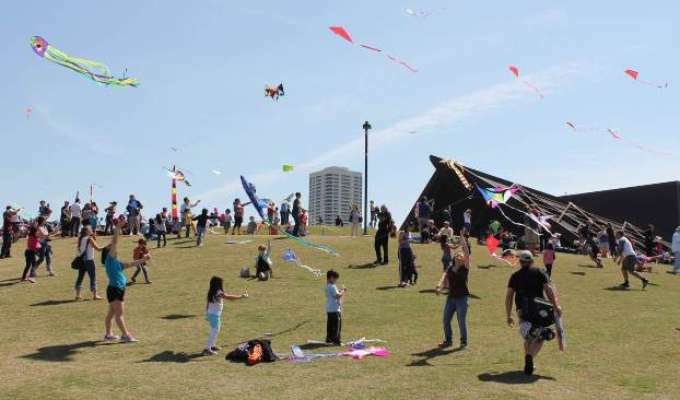 Everyone is invited to this free festival as kites in all shapes and sizes set sail in the spring sky on Miller Hill and around the Jones Reflection Pool. There will be entertainment for kids including kite making, friendly kite flying, face painting, and more! 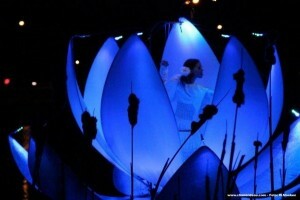 Throughout the Park will be performers, ribbon dancers, musicians, jugglers, and more. Pedal boats will be available on McGovern Lake and the train will run throughout the day. Food trucks will be stationed around the park with creative culinary delights for all. Click here to join the host committee and enjoy benefits such as reserved parking and access to the VIP tent. Here are just a few things to do around town this holiday season! We are sure these will get you into the Christmas spirit! TXU Energy Presents Zoo Lights is back and more spectacular than ever this year – now with more than 2 million lights! There are new and exciting additions around every corner at this year’s most anticipated holiday tradition. From a completely lit-up African Forest with larger-than-life, glowing, rotating ornaments to a walk-in snow globe, TXU Energy Presents Zoo Lights will be sure to delight the entire family. Bring your camera to capture all the special moments! When: Friday, November 21, 2014 to Sunday, January 4, 2015. Closed December 24 and 25. Parking: Parking is very limited at the Houston Zoo. Journey with Clara as she dances on the arm of the Nutcracker Prince to the stunning Land of Snow and the delectable Kingdom of Sweets. There are so many reasons to delight in The Nutcracker: the giant Christmas tree, the dancing dolls, Mother Ginger and her adorable clowns, the lavish sets and the iconic Tchaikovsky score. Ben Stevenson’s production of The Nutcracker has entertained children and their grown-ups for more than 25 years. Times: 2pm and 7:30pm performances on various nights. Click here to check exact times by date. Admission: Tickets start at $55, but you may find cheaper or better tickets on TicketNetwork’s resale site. Click here for full price tickets. Houston’s seasonal favorite is described by the Houston Press as having “Spectacular London sets … the inimitable Dickens’ tale – spiced with the usual fog and an unusual twist on the ghosts past, present and future.” A Christmas Carol – A Ghost Story of Christmasreturns this year with a re-telling of Charles Dickens’ classic story, which follows Ebenezer Scrooge’s journey with the three ghostly spirits that visit him on Christmas Eve. A Christmas Carol instills a powerful message about redemption and the spirit of the holiday season. Parking: Click here for parking details at University of Houston. Admission: Tickets range from $25 to $55. 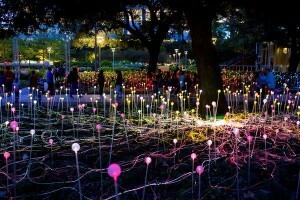 Discovery Green is proud to host Field of Light, a dazzling art installation by internationally-acclaimed artist Bruce Munro. 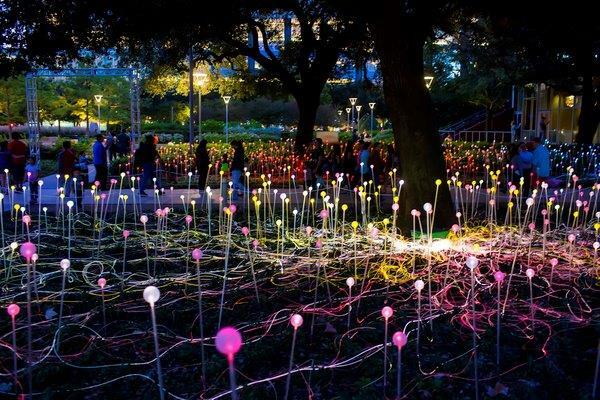 The vivid, temporary, site specific installation is now on display along the Brown Promenade through Feb. 8, 2015 and it is illuminated from 3 to 11 p.m. daily. The prime viewing hours of the exhibit are after dusk. Parking: Street, surface lot and garage parking are available. A skilled team of 31 internationally-acclaimed professional ice carvers from Harbin, China will dive into 900 tons of ice and transform them into majestic marvels featuring holiday scenes with the beloved Bikini Bottom inhabitants from Nickelodeon’s SpongeBob SquarePants. Chilled and held at a temperature of 9 degrees, you can witness these works of art as Galveston makes its holiday transformation into a Winter Wonder Island. Sand Mandala at the Menil | FREE | Thursday through Saturday – Observe Tibetan monks from the Drepung Gomang monastery in South India create an intricate sand mandala in the Menil foyer. 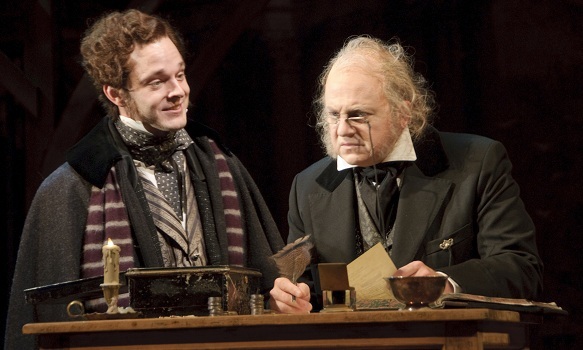 Alley Theatre presents A Christmas Carol at UH | Daily – Follow the classic story of Ebenezer Scrooge as he is visited by ghosts of the past, present and future in the Alley Theatre presentation of A Christmas Carol. Tickets range from $25 to $55. 7:30pm Thursday and Friday; 2:30pm and 7:30pm Saturday and Sunday. The Radio City Christmas Spectacular at the Hobby Center | Daily – Experience the Rockettes high kicks as New York City’s holiday special comes at the Hobby Center this holiday season. Tickets start at $40, but you may find cheaper or better tickets on TicketNetwork’s resale site. 7:30pm Thursday; 8pm Friday; 11am, 2pm, 5pm and 8pm Saturday; noon, 3:30pm and 7:30pm Sunday. Campfire Christmas at George Ranch | Friday and Saturday – Escape the hustle and bustle of a modern Christmas and go on a festive journey into Christmases past at the George Ranch Historical Park’s annual Campfire Christmas. $50; $45 for ages 15 and under, seniors and groups of ten or more. 6pm to 10pm both nights. Tomball German Christmas Market | Friday to Sunday | FREE – Celebrate the holidays the way the Germans do – with beer! Enjoy street vendors, biergartens, Gluhwein and Dutch Santa during this family friendly market. 6pm to 10pm Friday; 10am to 10pm Saturday; 10am to 6pm Sunday. Houston Symphony presents A Very Merry Pops at Jones Hall | Friday to Sunday – Enjoy a yuletide evening of traditional standards like “We Need a Little Christmas,” “Angels We Have Heard On High” and “O Holy Night. $25 to $135. 8pm Friday and Saturday; 2:30pm and 7:30pm Sunday. Houston Ballet presents The Nutcracker at Wortham Theater Center | Friday to Sunday – For more than 25 years, the Houston Ballet has been telling the story of Clara and the Nutcracker Prince as they fight the Mouse King, travel to the Land of Snow and the Kingdom of Sweets. Tickets start at $55, but you may find cheaper or better tickets on TicketNetwork’s resale site. 7:30pm Friday; 2pm and 7:30pm Saturday and Sunday. A Charlie Brown Christmas at the Kaleidoscope Theater | Friday to Sunday – Relive the classic Charlie Brown Christmas special with Snoopy, Schroeder, Linus, Sally, Lucy and, of course, Charlie Brown himself. $30; $20 ages 10 and under. 8pm Friday; 2pm and 8pm Saturday; 2pm Sunday. Holiday Market at San Jacinto Mall | Saturday and Sunday | FREE to attend – Pick up some stocking stuffers at the Holiday Market booths near Santa’s Workshop at San Jacinto Mall. 10am to 9pm Saturday; 10am to 8pm Sunday. Rice Village Flea | FREE – Find a unique treasure at the Rice Village Flea Holiday Market. 11am to 6pm. 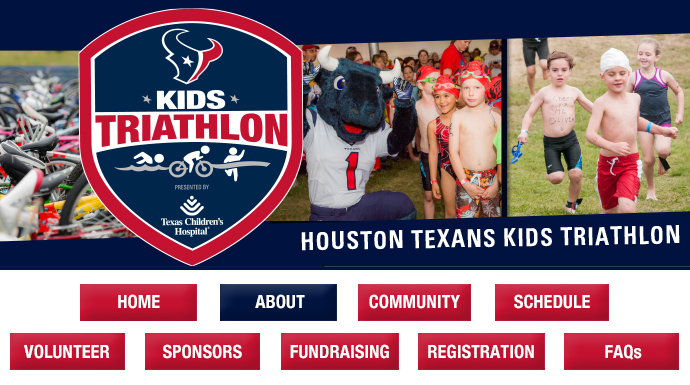 Family Activities inside the Loop from BigKidSmallCity | Daily – Find events, recommendations and family-friendly activities from our favorite Houston mom-in-the-know Jill Jarvis of BigKidSmallCity. The Grinch’s Holiday Workshop at The Children’s Museum Houston – Take the kids to the Grinch’s interactive holiday workshop complete with an oversized sleigh that kids can sit in. $9; $8 seniors and military personnel plus their family. 10am to 8pm. Unsilent Night at Sabine Promenade | FREE – Participate in a unique parade where composer Phil Kline’s piece Unsilent Night, which is intended to be heard outdoors, will be played on participants’ smart phones. 6pm to 9pm. Tracy Lawrence at Stampede Houston – See Country music legend Tracy Lawrence perform live at Stampede Houston. $15; $20 for guests 18 to 20 years old. 7pm. Sister’s Christmas Catechism: The Mystery of the Magi’s Gold at Stages Repertory Theatre – Denise Fennell returns as Sister in this production where CSI meets Bethlehem in a hilarious musical history lesson. $19 to $40. 7:30pm. Home Alone Movie Screening at CityCentre | FREE – See Kevin fend off burglars on Christmas Eve in this 80s John Hughes holiday classic. 8pm. Reverse Happy Hour at Nara – Grab a late night snack and cocktail at Nara Sushi and Korean Kitchen’s newly remodeled bar & lounge during Reverse Happy Hour. Items range from $3 to $10. 9pm to 11pm. Student Performance at Hermann Park | FREE – Hear the Rich Schneider Middle School choir sing as part of the 5th Annual Student Performances in the Park Series at Hermann Park. Noon. Miracle on 34th Street Screening at Discovery Green | FREE – Cuddle up on the lawn or ice rink to watch Miracle on 34th Street as part of the Discovery Green Friday Night Flicks series. If skating, fees apply. 7:30pm. 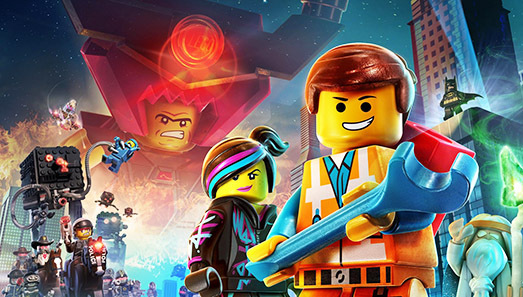 Join Community Health Choice for a special, one-night-only viewing of The Lego Movie. Boasting beautiful animation, a charming voice cast and laugh-a-minute gags, this 2014 smash hit is colorful fun for all ages. Since 1979, the wildly inventive, Oregon-based Imago Theatre has produced tantalizing, transformative theatre that crosses boundaries traditionally associated with language, age and the physical realm. Drawing inspiration from a wide variety of artistic mediums — vaudeville, comedy and illusion, to name a few — Imago is able to construct surreal landscapes through movement and sound. 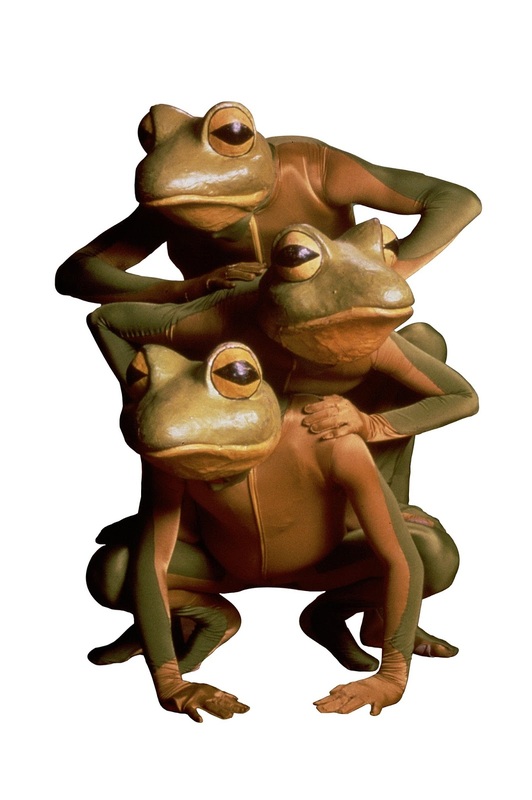 Not easily pigeon-holed, Imago has repeatedly proven unique in its ability to create critically acclaimed, family-oriented productions — their smash hit, FROGZ, effortlessly weaves mime, dance and acrobatics into a must-see spectacle for the entire family. 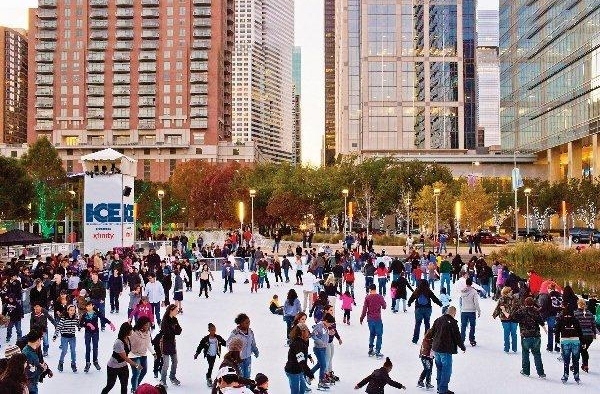 The ICE on Discovery Green, November 25th – February 8th! The ICE at Discovery Green uses recycled water from Kinder Lake to create a 7,716 square-foot ice skating surface, making it the largest outdoor skating rink in the Southwest.The rink will return for another exciting winter season on Tuesday, November 25, 2014! Last season, The ICE hosted a variety of Winter programming and amenities for skaters and spectators including outdoor movies, skating with Santa, live music and DJs, ice carvings, art installations, snack shop serving hot cocoa and Belgian waffles, and a special, toddler-friendly rink. Stay tuned for ICE events in winter 2014! Ice Skating at Discovery Green is a ticketed event. $13 includes skate rental and tax. Skating time limited to 1.5 hours all school holidays and weekends. 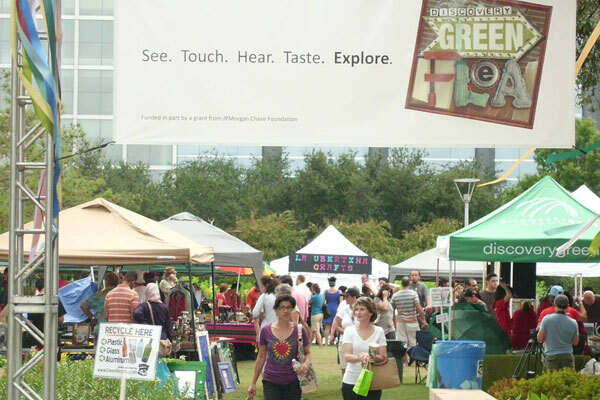 A portion of tickets sales goes to support Discovery Green Conservancy’s free year-round programming. Tickets are available for purchase in-person at the ICE. Make a donation of $50 to Discovery Green Conservancy and get a free ticket to the ICE, redeemable Monday through Thursday. 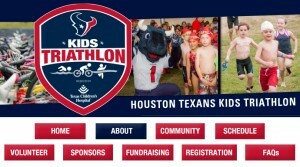 To donate, please visit discoverygreen.com/donate. Bringing a group? The ICE is perfect for church groups, daycare and school field trips, scout outings, birthdays, and company parties. Advance reservations are required. To submit your group reservation, click here. For more information about group sales, please contactdiscoverygreen@icerinkevents.com. Learn a lifetime sport! One-on-one instruction is available. Advance reservations are required. To reserve a private lesson, click here. To learn more about the ICE, click here. 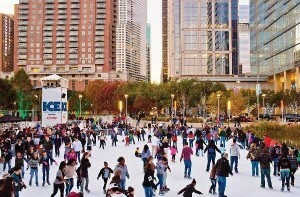 Ice Rink Events, a Houston-based designer, manufacturer, installer, and operator of ice rinks around the globe, transforms Kinder Lake’s model boat basin into a holiday skating destination each winter season at the park. The expanded rink uses equipment that runs on renewable energy and even the ice rink border is made from recycled plastic materials. First get your costume on, then get your drink on as the Crawl hits 12 restaurants and bars between Dunlavy & Montrose on Westheimer, including Brasil,Poison Girl, Pistolero’s, Boondocks, Stone’s Throw, Etro Lounge, Catbirds, Royal Oak, Doc’s Motorworks, Slick Willie’s, El Real Tex-Mex, and Hay Merchant, with special appearances by Koagie Hots and The Golden Grill. As always, there’ll be no covers & no tickets, plus drink specials all night long. And prizes will be awarded for the best outfits at each stop, with a grand costume prize awarded by this year’s honorary Grand Crawler Chris Shepherd. 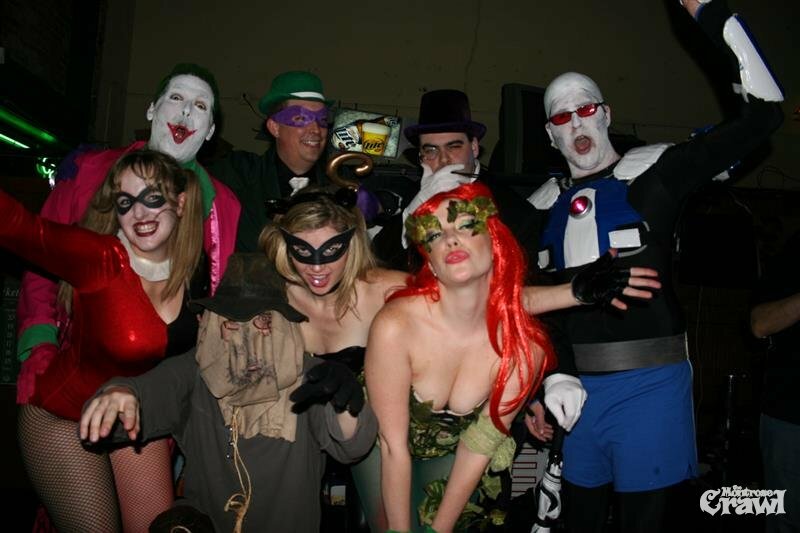 Check out the rules and last year’s grand prize recipients, the Legion of Doom, to see what it takes to win. A portion of drink sales during the Crawl will be donated to the Houston Area Women’s Center, one of Montrose’s most important aid organizations. The 8th Annual Montrose Crawl is brought to you by Free Press Houston, Houston’s leading independent newspaper, Santo, our official beer, Jim Beam, our official whiskey, Izkali, our official tequila, Party Boy, the ultimate Halloween costume store, and Nightmare on the Bayou, Houston’s most haunted house, with special flavors & favors provided by Red Bull and Uber. Want to be terrified? 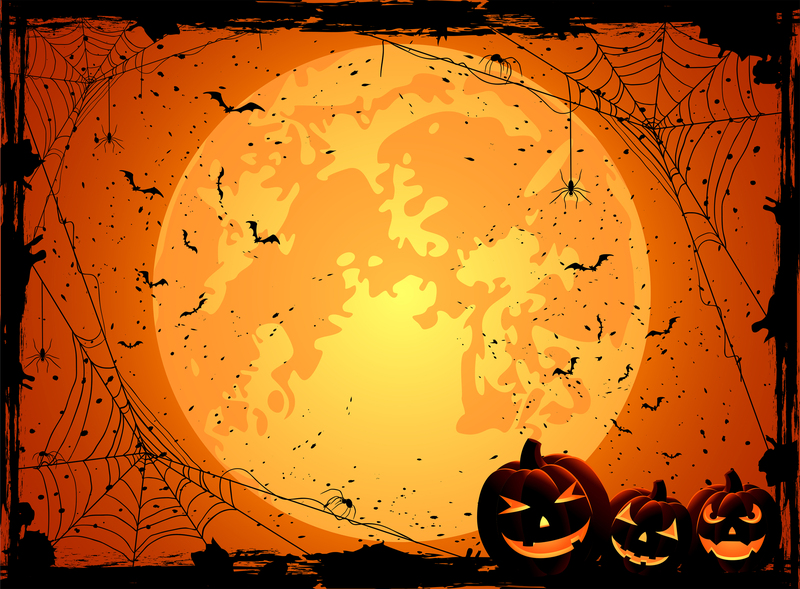 Fearless teens and brave adults alike can experience our professionally staged haunted house on Saturday, October 25th from 7-10 pm. For those less brave, never fear! You can enjoy our food truck rally along with free musical entertainment. The rally is free to enter. 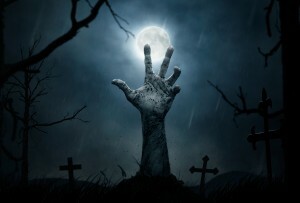 Thanks to Phobia Haunted Houses, you do not have to travel to the burbs to be petrified. Step through the shadows, gather your courage and discover the chilling and ghastly tales of murder, revenge, passion, heartache and breath-taking history! This exciting Ghost Tour in Galveston takes you on a fascinating walking tour through the historic and haunted Silk Stocking district starting by the famous Broadway mansion, Ashton Villa! It is a family-friendly tour, loved by all ages! Step through the darkness and investigate the chilling location where a man was kept hostage for an entire night by a female ghost. Take a chance to see the lovely red-headed, ”Miss Betty” Brown who still “lives” at the vintage 1858 Ashton Villa mansion. . she’s been photographed staring out of the second floor window through the curtains — Bring your camera! Discover why Capt. Mott’s apparition is regularly seen in the attic…could he be hiding the horrific murders committed by his son? 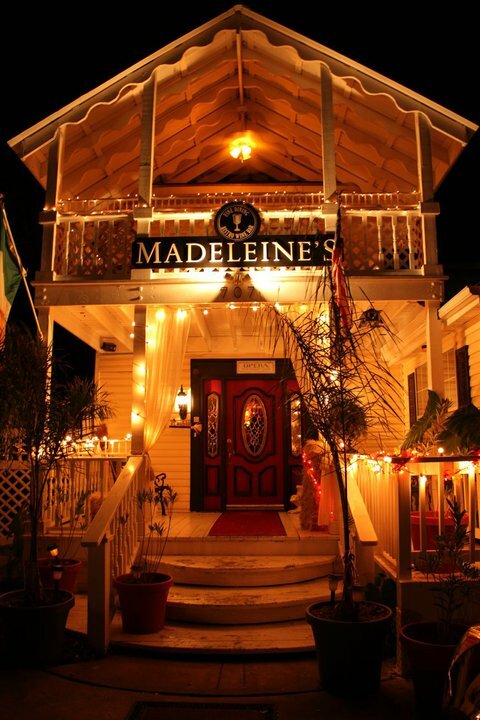 Explore the vivid details of the 1900 Great Storm’s night of terror, when a brave mother selflessly dragged bodies from the savage waters over her second floor balcony..
Visit Galveston’s last bordello…why does that prominent insurance man’s spirit still lurk in the bedrooms at night? This fascinating walking tour was designed by fifth-generation Galvestonian, Jan Johnson based on eye-witness accounts of paranormal occurrences. A talented writer and award winning tour guide, Jan published the book, “Walking Historic Galveston: A Guide to its Neighborhoods” and is currently working on her second masterpiece! 90-minute guided walking tour through Houston’s Downtown Historic District featuring urban legends and true tales of deceased Houstonians. Includes a stop inside the Spaghetti Warehouse. Even though this is NOT a paranormal tour, everyone will receive a copy of Sandra Lord’s Short Guide to the Paranormal and a handout with more details about the stories your ghostly guides will tell. Please feel free to bring cameras, video equipment, and EMF meters. 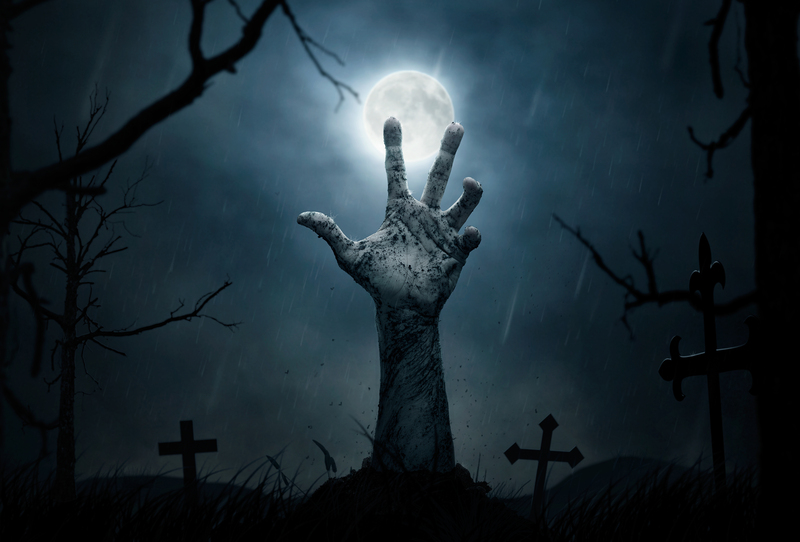 You may want to use a high-powered flashlight at the Donnellen Crypt. Mosquito spray is recommended, as are comfortable clothes and walking shoes. DRESSING FOR THE HALLOWEEN SEASON IS ENCOURAGED. WE LOVE TO TAKE PICTURES! Please arrive at least 15 minutes early and wait in the bar area for an announcement for the registration location. If you want to have dinner at the Spaghetti Warehouse, please arrive at least 90 minutes to two hours early. Attendees receive a 10% discount off their dinner at the Spaghetti Warehouse. Be sure to tell your waiter before you order. Parking: Paid parking is available in adjacent lots. Free on-street parking available after 6 p.m.
Restrooms are available at the Spaghetti Warehouse and the Brewery Tap. There are no other rest stops. Open every Friday, Saturday, and Sunday night in October – Experiences include the Mind Control haunt, Simon Fowler Woods, ClaustroPhobia, Darke Institute and Dawn of the Machine. This house is sure to scare Anyone!!! 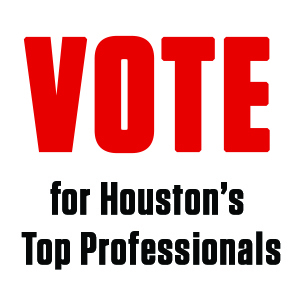 Voted #1 Haunted House in Houston, Scream World features The Swamp, Jake’s Slaughterhouse, Edge of Darkness, Clown Asylum Maze, and the Zombie Graveyard! If this doesn’t scare you nothing will! Located directly beside Houston’s oldest graveyard, Nightmare on the Bayou is the only attraction that is actually haunted by real ghosts! Monsters and mayhem are guaranteed! 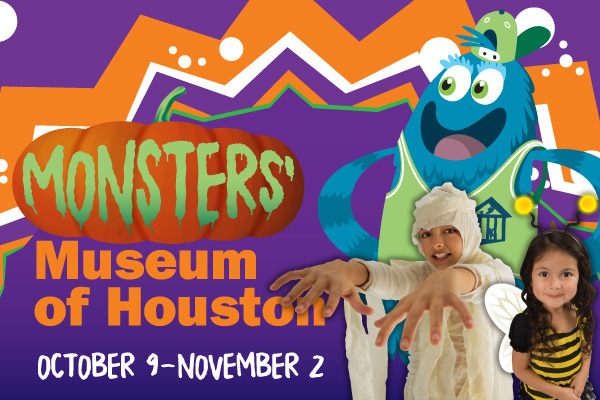 Monstrous mayhem will be unleashed when the Children’s Museum of Houston is transmogrified into the Monsters’ Museum of Houston for three weeks of Halloween. From Oct. 9 to Nov. 2, 2014, we dare you to witness how monsters have rummaged, scoured, combed and turned the Museum upside down to make room for their monster lairs. This hair-raising experience will allow you to “catch monsters” in the act, interact with their pals, observe and comprehend their behavior, participate in monster hobbies and discover why monsters may be just simply misunderstood! Enjoy live music, face painting, fortune tellers and dancing, and of course this year’s feature film, Frankenweenie. Calling all ghosts and ghouls, monsters and mummies, witches and werewolves: Houston’s favorite Halloween party — the one and only Spirits & Skeletons — is back at HMNS! With the entire museum open you can shake your stuff with a stegosaurus, grab a drink with a skink and get spellbound by bewitching gems, all to live music and your favorite hits played by DJs with fantastic food trucks parked right outside. Whether you go with scary and spooky or fab and kooky — dress up, party the night away at HMNS and we’ll put a spell on you! 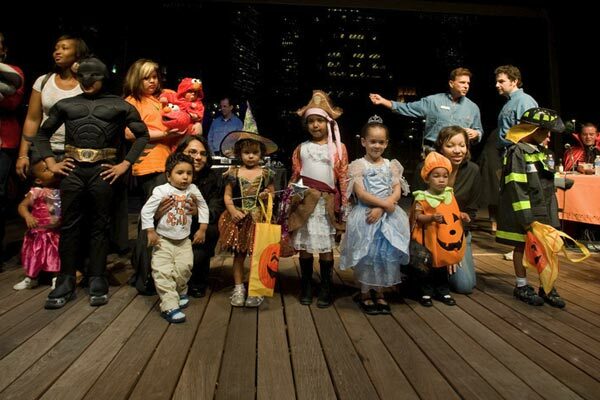 We’re inviting all little ghouls and goblins to celebrate Halloween at the Houston Zoo with activities that are fun for the whole family. 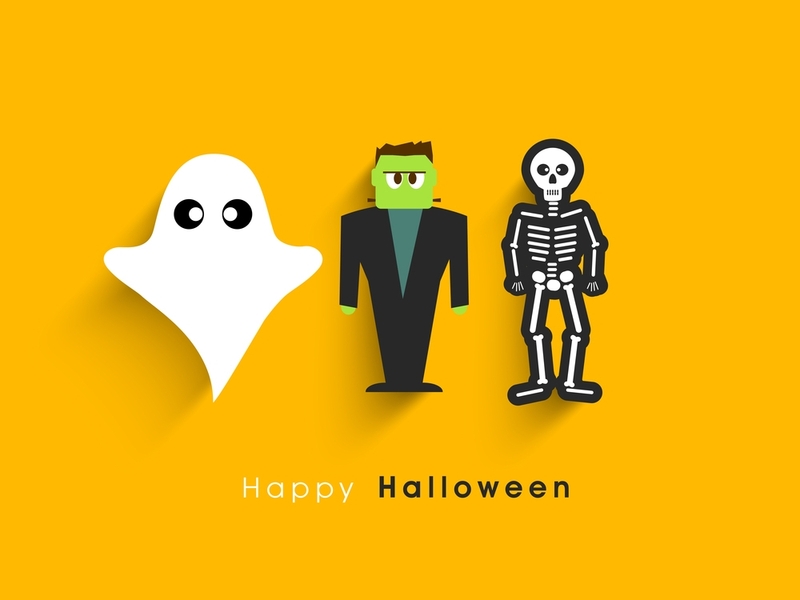 We encourage all kids to come dressed in their spookiest or prettiest Halloween costume! They’ll love to show off their costume in our Costume Parade as well as our NEW Costume Contest and dance to the “thrilling” music with our children’s DJ. Zoo Boo will also once again feature the Fiesta Mart Pumpkin Patch. Kids can pick out their very own child-sized pumpkin (while supplies last) and paint it into a Halloween jack-o-lantern! Overflowing with pumpkins, this is also the perfect spot for photographs. And what’s Halloween without candy? We’ll have “Candy Corner” booths sponsored by Fiesta Mart throughout the Zoo, so bring your trick or treat bag and your sweet tooth! (Candy available while supplies last). 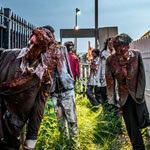 All this PLUS Halloween-themed Meet the Keeper Talks, the Candy Cave, Tatzoo Parlor, and more! Back by popular demand don’t forget to stop by Duck Lake and follow Zoe the Zookeeper on her Howlerween Adventure or test your bravery by reaching in our Mystery Boxes in the John P. McGovern Children’s Zoo! MECA proudly presents Dia De Los Muertos: Honoring our Past, Celebrating Our Future. Dia de los Muertos is a traditional Latin American holiday that honors and celebrates the lives of family and friends who have gone before us. Different countries celebrate Dia de los Muertos in their own unique way. The common theme that runs through the two-day celebration, traditionally held November 1 and 2, is the belief that the dead return home, visit loved ones, and feast on their favorite foods. A playful mockery of death and a reaffirmation of life are demonstrated through music, dance, theatre, and visual arts. MECA’s event features Dia de los Muertos celebrations from throughout Latin America, with an altar exhibit competition, foods from the Americas, vendors selling authentic Latin American Dia de los Muertos arts and crafts, and a Calavera Fashion Show. This festival is truly a community cultural event celebrating our ancestors and Latin American traditions. 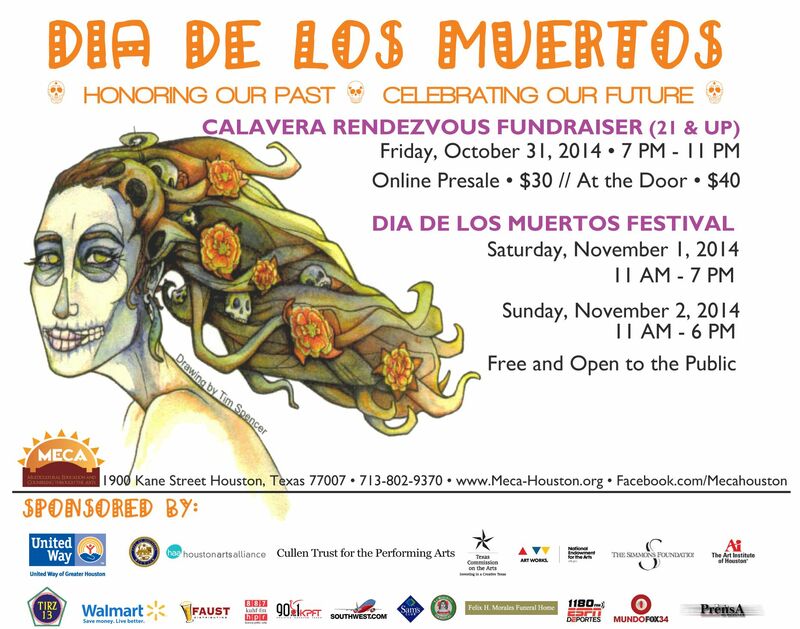 MECA Dia de los Muertos: Honoring Our Past, Celebrating Our Future is held at MECA’s colorful, art-filled campus located at the nationally recognized historic Dow School in Houston’s Old Sixth Ward. The event will provide a unique opportunity for those unfamiliar with this tradition to learn how countries throughout the Latin American world celebrate this day, which is commonly known in other cultures as All Souls Day. We invite you to join us in celebrating Dia de los Muertos with us at MECA. Giant bugs are taking over the Houston Zoo until September 1st! For this special exhibit, you’ll walk into a backyard unlike any you’ve seen before – this backyard is filled with giant, animatronic bugs that move, spread their wings, and even spray you with water! These bugs are up to 200 times larger than the normal size, and are made to look exactly like their smaller counterparts. The real wonders of this backyard environment are the bugs themselves. Not just any bugs but 13 giant, animatronic bugs. You’ll see friendly ants, a ladybug, a grasshopper, a dragonfly, a beautiful Madagascar sunset moth, a beetle that sprays water, and a firefly that lights up with the turn of a handle. Purchase tickets online now, at any ticket window when you arrive, or at the Extreme Bugs! exhibit. Extreme Bugs! Tickets you purchase online today are good for entry to the exhibit on any day. (Zoo admission tickets are dated). Regardless of when you decided to send your child to Montessori school happened as a result of detailed study of educational approaches or something that you always knew you wanted to do well before you became a parent, how do you actually go about choosing the right school for your and your family? Believe it or not this is a question that can sometimes be a lot like following Alice down the rabbit hole. Enter “Montessori Houston” into a search engine and you a flooded with results for almost 100 Montessori schools just with the address being Houston, Texas. So with this in mind how do you go about finding a school that fits your needs and know it is an authentic Montessori program? Here are several steps that will not only help save time but provide you with the questions to get details that matter most when interviewing prospective candidates. There are all kinds of Montessori schools that make up a number totaling over 4,000 in the United States alone. These more than 4,000 schools are made from a mixture of private and public schools, some offer programs for kindergarten and others are as extensive as beginning from birth and end when a child graduates high school. In Houston a school can be as small as a single classroom in a registered family home* or as big as a multi-building campus with upward of 800 students. However the first thing that needs to be kept in mind is that any school can put Montessori on the building or claim that they offer a Montessori program because the word “Montessori” is not trademarked and therefore unable to be formally regulated. First there are two organizations in the United States that set the standards which classroom, teacher education, and schools must subscribe to in order to ensure the integrity of Dr. Montessori’s educational principals are upheld. They are independent from one another and are Association Montessori International and the American Montessori Society, respectively knows as AMI and AMS. 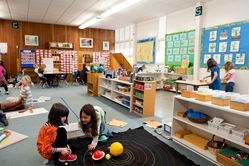 Though AMI schools are less common and AMS more prevalent both hold the following four items essential in order to provide a quality Montessori program. Each classroom has an AMS or AMI teacher certified for the age group that they are teaching. 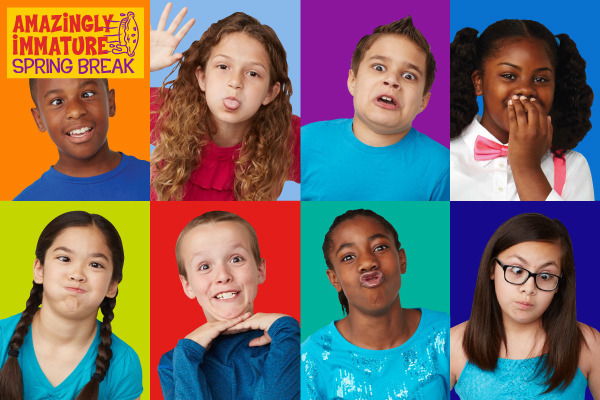 Classes are made up of multiple age groups where the older children sever as role models and the helper. An appropriate number of children making up the group in each classroom to ensure proper social development. A daily set period of uninterrupted work time for the children. The classroom offers a hands on educational experience through wide range of Montessori materials that are age appropriate materials. 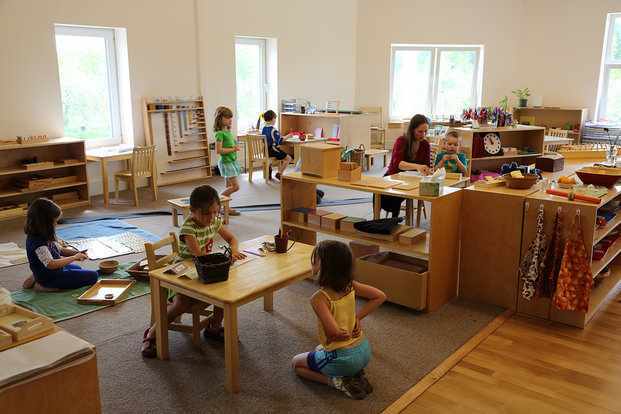 The teachers follow the Montessori instructional philosophy and acts as a guide instead of a provider of information. Both the American Montessori Society and Association Montessori International have webpages dedicated to helping you find as authentic of a program as possible or less ideological classroom setting to meet your needs. Once you have gone through these two resources you will still have some work ahead of you but I have complied a list of hopefully helpful checks and balances to make the overwhelming process of choosing a school easier and less time consuming as possible. This can all be broken down into five steps that will make compiling all the information and your opinions filter down into a decision. These steps involve a short phone interview, tour of the school, classroom observation, teacher conference, as well as your general thoughts and feelings about your experiences there. The first item of business is the phone interview. This is a short introduction to the school and to get the basic information you need to see if they even provide a program that suits your needs. I’ve even provided a little form for parents to use to help them keep track of what questions to ask and their answers. Take into consideration that depending on the time of day you call you might reach someone that is not capable of answering all of your questions because they work in the classrooms instead of being administrators trained to answer all of your questions. Just because a school asks to take your name number in order for someone to call you back does not mean that the school isn’t on top of their game. In fact it usually means just the opposite and that there are specific people in administration dedicated to prospective parents and parents issues. Also, if the person answering the phone is indeed doing their job they are going to want you to come in for a tour. That is why sticking to the basic in a phone interview will help you cut down on time running around and possibly touring schools that don’t even offer a program you need while still getting a narrow enough picture to know if a school is worth you visiting or more! Here are the basic questions you will need to ask because remember Montessori is not childcare but many Montessori schools offer childcare. Meaning many schools are only open during the academic school year and for the regular school day. If you are needing full time care year round then one of these schools will not be for you. I created a form that you may either print out and write or edit online to use specifically for Montessori School Phone Interviews. Remember you don’t have to schedule a tour until you have finished with all of your phone interviews either. I promise, they will still be more than happy to introduce you to their school. Once you have completed your phone interviews go ahead and make a keep and delete pile. Year round program or academic program only? Is before and after care offered? Are there current openings for your child’s/children’s age groups and if not how long is the waiting list? Are there AMS or AMI certified teachers in every classroom and are they certified for that specific age group? Do they offer tours and will you be able to enter the classrooms during the tours? Do they offer classroom observations and/or teacher conferences before enrollment? 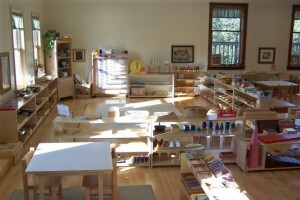 Children working in a Montessori environment with beautiful natural light. Often that is what it feels like when you first walk into some of the more profound Montessori schools and quite honestly they deserve the dropped jaws and wonderment struck faces. However it is easy to get wrapped up into the moment and forget why you are really there. I have been there as a student, parent, and as a teacher but it has left me remembering an old lady from the 80’s holding open a hamburger bun, pointing, and loudly questioning where the meat in dinner is. That is why I have compiled a checklist for parents to use when visiting a school for the first time based on recommendations from the American Montessori Society, Association Montessori International, National Association for the Education of Young Children, Collaboration for Children, Texas Department of Childcare Licensing, as well as my experiences as a teacher, administrator, but most of all a parent. I’ve broke this down into a fields in order for the checklist to be used as a single survey or as a three part survey depending on your individual needs. But there are a few things I’m not going to put on the list that parents just need to know and understand while going on a tour. Don’t bring your child to a school tour. This is not going to give you’re a clearer picture of if your child is going to like their new classroom or not. What is it is going to do is make it more difficult for you to communicate with the person giving you the tour. Your stress level and there is going to be higher, you are less able to soundly judge responses to questions you ask and are more likely to forget important information. Even if you have to schedule one tour for yourself and separate one for your significant other… it is okay. Be considerate when touring classrooms. Redeemer that if you are allowed to go into the environments while children are in them that in Montessori even diaper changes and lunch/snack time is considered an important learning experience and the teachers want to shake your hand and introduce themselves to you because it is what adults find as polite but their attention needs to be on the children. If you want to speak to a specific teacher you are more than welcome to schedule a one on one conference either face to face or over the phone. You will have a much more productive conversation I promise. DO NOT BE AFRAID TO ASK ANYTHING!!!!!! ANYTHING!!!! Specifically regarding a teacher’s CERTIFICATION! I am going to pull a few pages from my own book here that are a bit alarming and in one case was enough for me to call and report a school I ran and have them shut down. I have had the experience of schools not only lying about teachers certifications by saying that they were AMS certified teachers, certified teachers for the age group that they were teaching but even while I was in school getting my certification the administration told parents I was already AMS certified and told me I had to tell them the same thing. I refused! But let me please state that an AMI/AMS intern are sometimes the best teachers because they are excited and on fire about Montessori and still full of new ideas an ideologies. A teacher currently getting certified through AMS will have an adult learned certificate/card that is issued by the American Montessori Society. So that this not go unnoticed let me separate it from the rest….. Yes I might seem overly protective of your children but that is because they are the ones that need the most protecting. All of these documents are required to be on site and accessible at all times. Surveillance does NOT ensure safety. Video cameras in the environments do not make your children any safer than they are without them. Yes we live in a time and age where digital owns but our society. When it comes down to surveillance I personally feel that it stifles the Montessori way of diapering, toileting, caring for one’s own body, and a child’s privacy in general. I don’t want to have to worry about my child being watched all day long by someone who has hacked one of the same servers I use to peek in on my child’s day. I however do respect that this can be a highly personal decision for parents. There are times when video cameras can rule out abuse and protect children… but as a compromise I suggest considering a video monitoring system that is closed to the public but backed up on a hard drive for up to a month (or longer) and viewable by administration. SCHOOLS COME WITH RULES …. There are some strange rules at some schools but seemingly even more strange at Montessori Schools. Just because a rule strikes you as unacceptable at first doesn’t mean you need to discount a school as a possibility before you take a breath and as about the rules purpose. Don’t be surprised if you aren’t allowed to enter the classroom after the bell rings, pull on diapers aren’t allowed, certain clothes are discouraged or required…. There are reasons for each and every rule and most of them are to the benefit of your child and their development. Remember that they are going to school for themselves not for you. Just because something seems strange and different doesn’t mean that it isn’t tested and tried. Figure out what you can accept and what you can’t. Now that you have the tour out of the way you should have a better idea of which schools are still in the running or you may have even fell in love and gone ahead and started the enrollment process for your child. If you haven’t yet settled on a school this might be a good time for you to schedule a classroom observation and a parent-teacher conference. More information regarding, “Observing a Montessori Classroom” and “A Montessori Parent Teacher Conference,” can be found by visiting the upcoming links below! One thing is for sure – summer is here! So. What do you do with the kids when its either too hot to play outside or they need a little quiet time to let mommy and daddy take a break finish chores. The first day of school for most students in the Houston area, including those in Houston ISD, Fort Bend ISD and Cy-Fair ISD, is Monday, August 22. For children and parents alike, this day often conjures feelings of anxiety, stress and excitement. As a parent, you worry if your child will socialize and perform well, if he or she will feel comfortable in the new setting and make friends easily. And for children, well, that’s obvious! The first day can be terrifying! Even if you enroll into a private institution beginning at the daycare level, finding the right school for your child can be one of the most stressful tasks in early parenting. If you are required to go back to work, many daycares have a year-long wait list, not to mention the high cost and fees associated with new admissions. How do you navigate the timing properly so you can return to work knowing your child made it in and you chose the right option? And more importantly, how do you finally settle on your school of choice feeling confident about your decision? To help, here is a list of questions you can use at the daycare and elementary levels to interview administration and staff before making your final decision. What training or certification is required for your teachers? May I see what your typical day calendar looks like for my child’s age group? May we walk to that classroom and meet the teacher(s)? Why is it this school’s opinion that having a curriculum at the infant level is important? What is the infant/toddler curriculum? Will I receive regular progress reports and direct feedback from my child’s teacher? How frequently? Daily? Weekly? Monthly? What is your teacher-to-child ratio and how does this compare to the state requirements? Are all teachers infant- and child-CPR trained? How are teachers and upper level administrative staff trained to handle a crisis? For example, how do they notify parents when a child is injured at school? How does the school assess whether or not emergency personnel need to be called and then parent notified? How often do you run mock fire drills? As a parent, do I have the ability to show up at school at any time and monitor how my child is doing? What is your student retention rate from year to year? What about teacher retention? What is the difference between Vanguard and Magnet? If we are not zoned to your school, what ways might we transfer into it? What do most people do here in this area for schools? Private? Public? Combination? Do you provide education for parents to get their children into a good program, such as advanced placement classes? What is the first step? Typically, is this a paid program, or are you grandfathered in based on test scores? How are children measured once it is determined they want to be placed into a magnet or Vanguard program? How does this school measure its students’ performance outside of the state requirements and how are parents periodically notified about their children’s performance levels? Will I know how my child is performing compared to other students his age? How will you update me and how frequently? What are some things that I can be doing at home to complement your current curriculum for my child’s age group? Do you have this month’s curriculum calendar for my child’s class that I can take with me? On a personal level, after having received several parent recommendations for my son’s school and answering all of our questions satisfactorily, our final decision for his school came when we saw the children who attended there. We walked into several classrooms and the children were engaged and active, from the infant level to the Pre-K students. And when we looked at the bulletin board of school classroom photos, almost every single child in every single photo was smiling and happy. This gave us a tremendous amount of comfort. And while no place can be perfect or administer care quite like you can as a parent, there are definite signs to put you in a positive mindset for your child’s school. Ongoing communication with teachers and administrators is important, so keep in mind the school cannot do its job if you do not voice concerns and work to resolve them as soon as they come up (and they will). Finally, after you have done all the research and cross-referencing in the world, your mom instincts will ultimately be the decision maker, and most likely, they will be right! 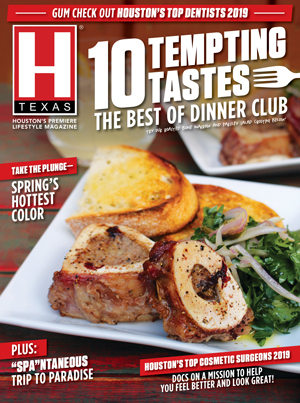 Christina Moreland, an H Texas Magazine contributor, is the mom of a growing infant and a bright, spunky 4-year-old. She is passionate about all sorts of parenting and childcare issues. Her goal with this column is to equip families with good, sound information so they can be well informed and create healthy homes. Her writing has been featured in numerous Houston publications. Contact Christina at ctmoreland@sbcglobal.net.